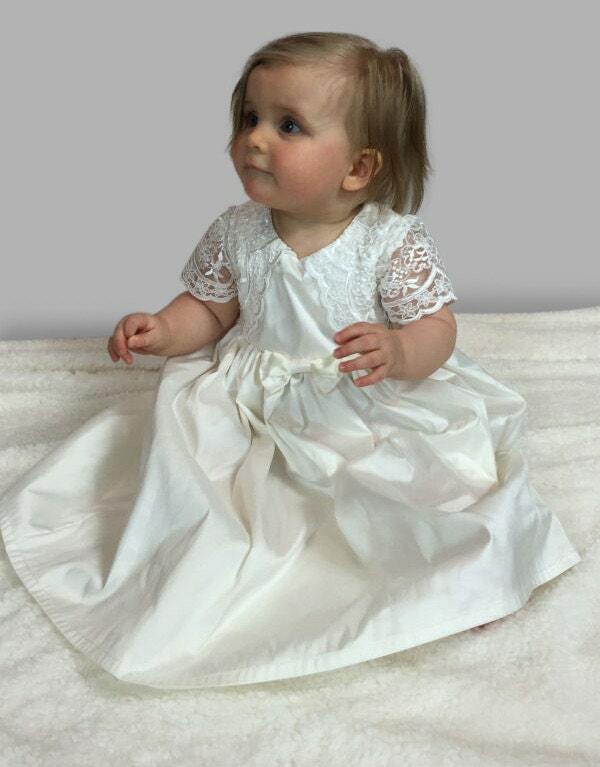 This little christening dress uses the Michelle lace. 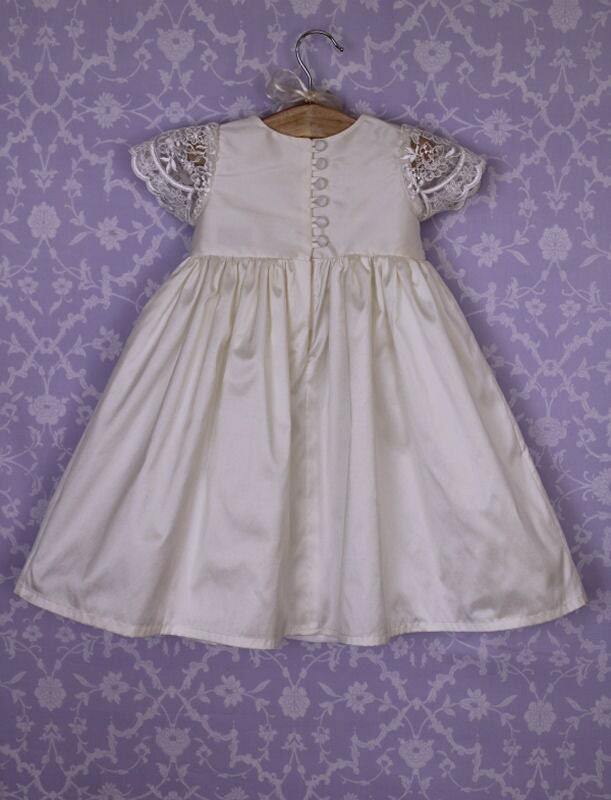 The lace scallops are cut to feature on the front bodice creating an elegant design. 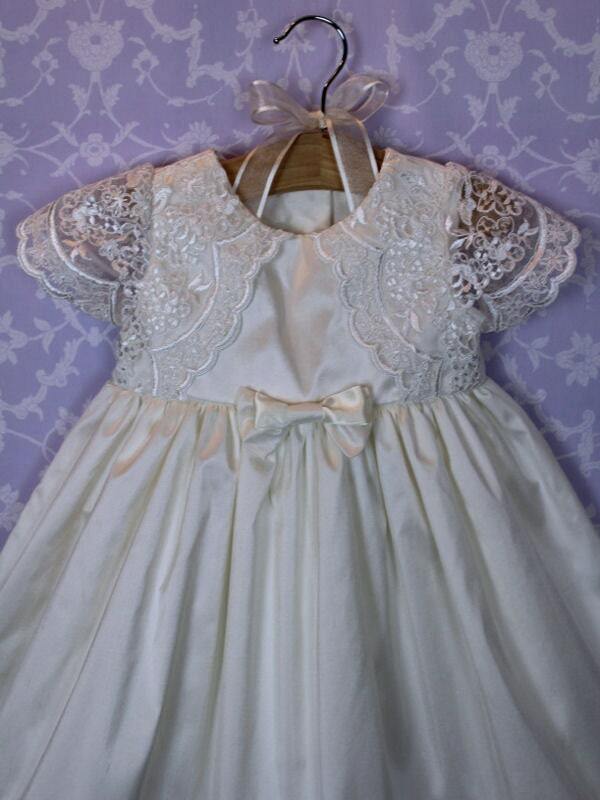 There is a small double bow at the centre front at the bottom of the bodice. 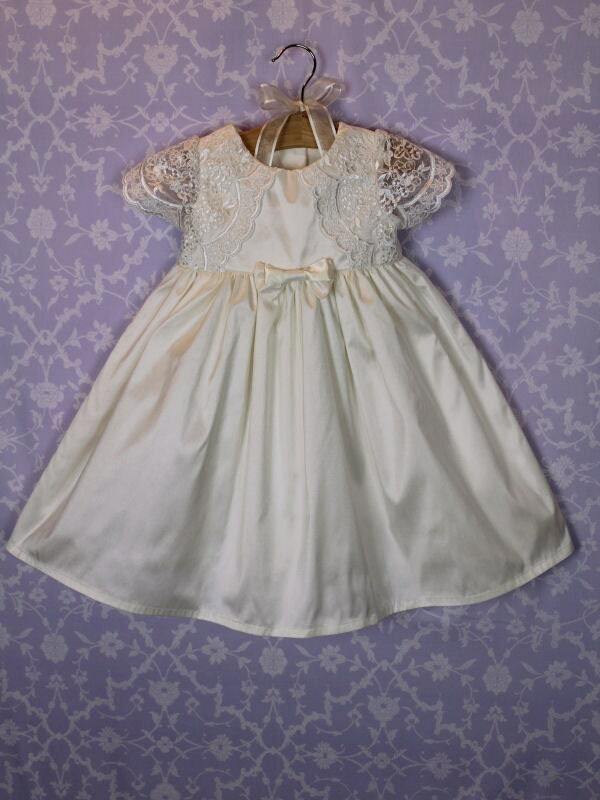 The sleeves are lace cap sleeves.